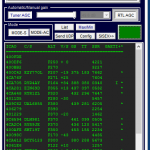 ADS-B Automatic Dependent Surveillance – Broadcast. 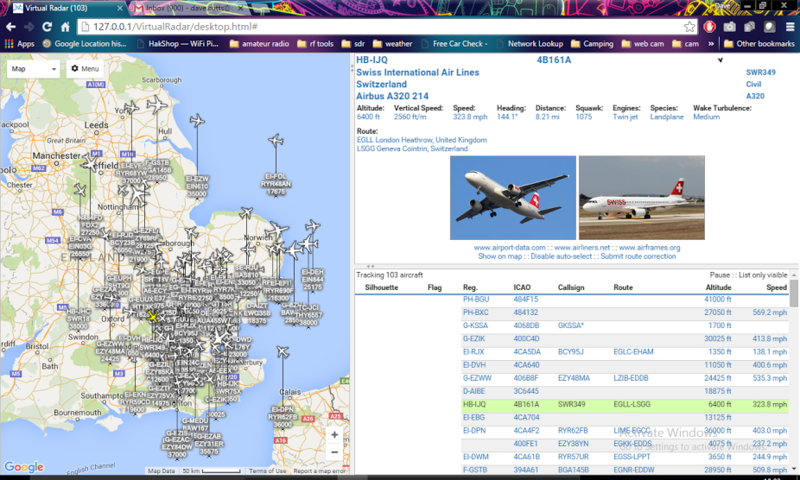 The system broadcasts on 1090 MHz and with a suitable antenna and receiver the position of each aircraft within range can be downloaded and displayed on a map. Broadcast data may include. 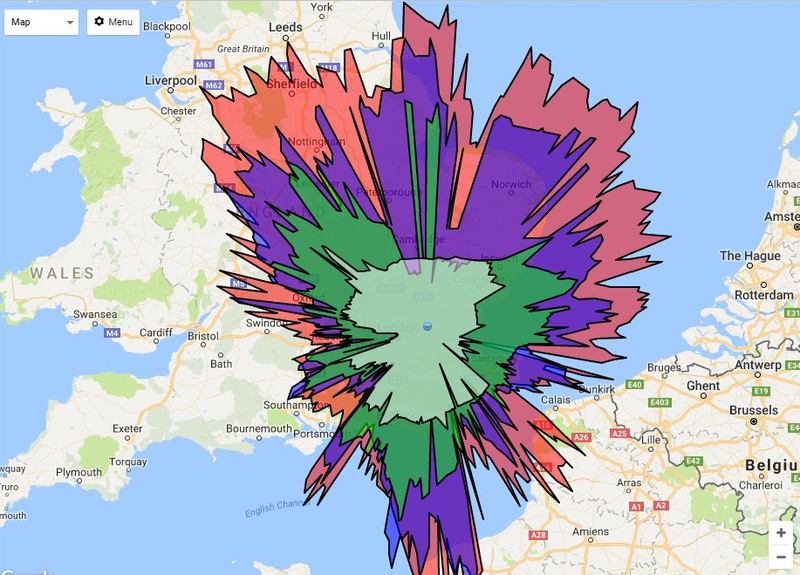 ADS-B dedicated receivers typically cost £100 to £600 pounds, although recently low cost TV style SDR dongles have been used to good effect. 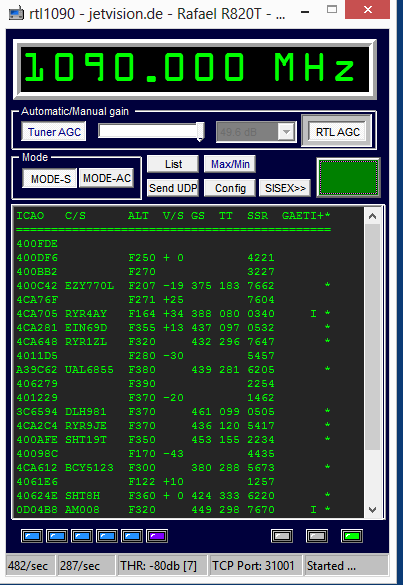 The 820T2 dongle seems to be most sensitive on 1090 MHz and these can be purchased on ebay or ham goodies for around 7 to 15 pounds. 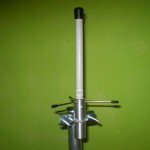 You can build a coax based co-linear antenna by following my homebrew guide. Its best not to install any of the standard windows drivers, just plug in and follow the instructions below. I have only tested these on Windows 7 and Windows 10 but both worked without any fuss. Be sure to check the version of software / driver you select is compatible with your operating system. An excellent quick start guide is available here. 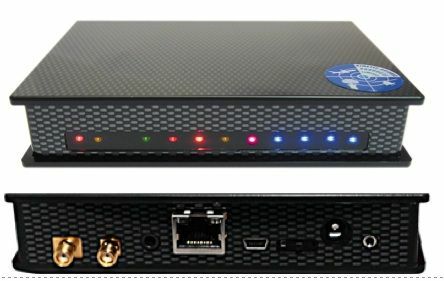 The basic process is to configure the dongle via Zadig and install the correct drivers, once thats working install RTL 1090 and then virtual radar. 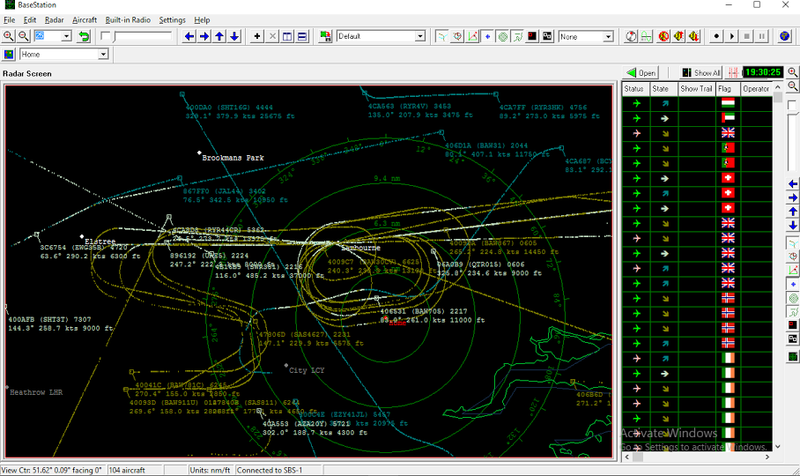 You can download the software needed Zadig, RTL 1090 and Virtual Radar. 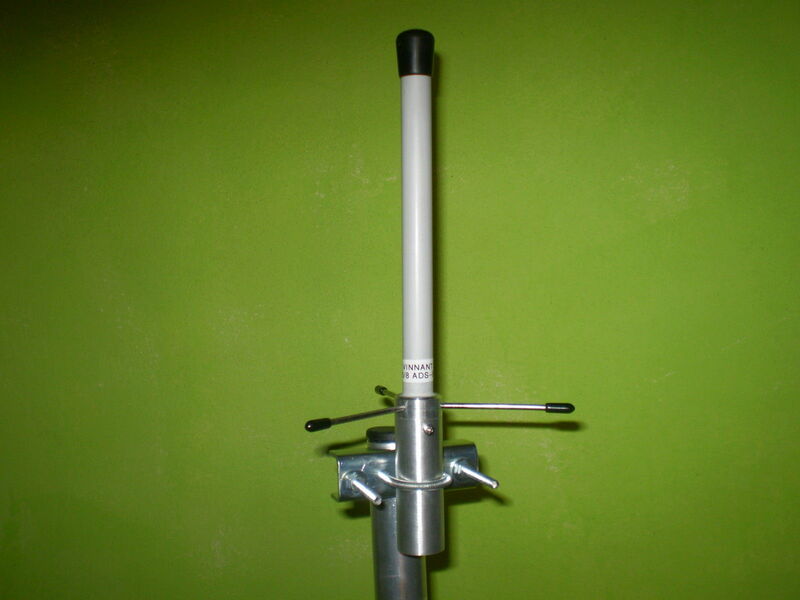 Reception will depend on a number of factors, but having the antenna correctly built and mounted high above local obstructions while keeping the coax run as short as possible. 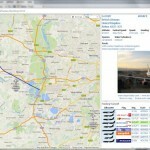 Virtual Radar will provide the visualizations of the aircraft locations, and best of all the software is free. You may find the following supporting documentation helpful. 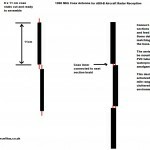 Guide to setting up RTL1090 and virtual radar. 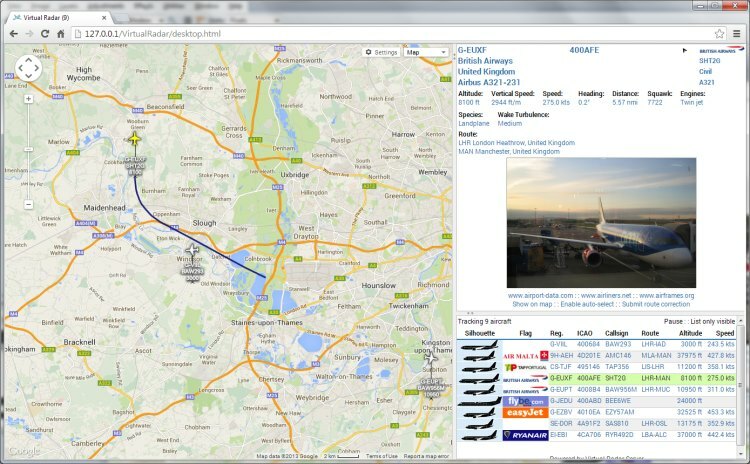 You can see an example of how Virtual Radar will look once its tracking aircraft location here. Hopefully the following articles and links provide you with a basis to experiment, building the antenna and then putting it to good use receiving ADS-B signals. 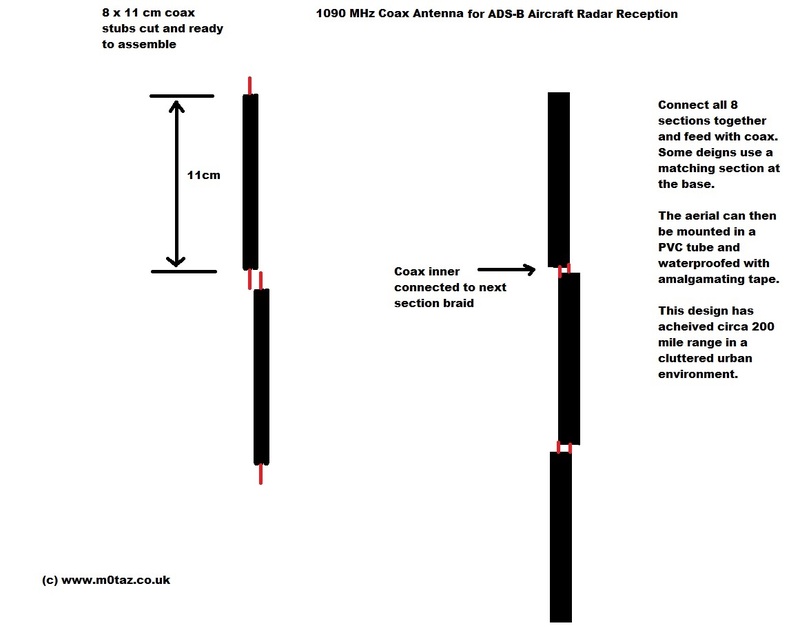 I have included a couple of youtube videos on antenna construction and signal reception. Please leave me any comments, would be interested to see how others get on.